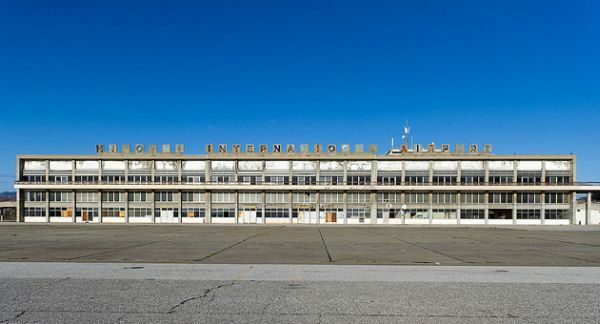 Nicosia International Airport began life in the 1920s as an emergency landing ground laid out on the scrub covered earth of the Mesaoria plain to the west of Nicosia. It lies adjacent to the '5th mile post on the Morphou Road'. Like many other airports, Nicosia developed over a period of less than fifty years from the rough landing strip with minimal facilities to an international airport with extended runways and state of the art terminal buildings. 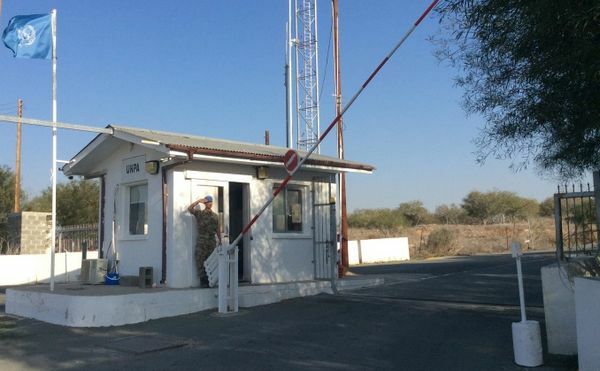 Then, the events of 1974 froze any further development and the airfield now lies commercially abandoned within the United Nations Buffer Zone which extends across the island of Cyprus. The airfield has the particular status of being a "United Nations Protected Area", a term usually applied to the endeavour to conserve the Earth's natural places (currently a list of over 200,000). In peacekeeping terms, UNPAs are demilitarized areas (usually maintained for a short period of time) where all persons residing in them are protected from fear of armed attack. The Nicosia Airport UNPA is possibly unique in that its original aim was to deny, to both sides in the Cyprus conflict, the sole use of the facility. It is also probably unique in that the status quo has been maintained (at the time of writing...2017) for over forty two years. This website will tell the turbulent history of this troubled location. I would like to thank Tim Reardon, Diana Bridger, David Pentecost and several UN Press Information Officers past & present for their assistance.